I had a need so I got crafty! I decided I would make Closet Dividers and now I wanted to show you how I did it. I was organizing my daughter’s closet and I had some outfits from my oldest that were passed down to her with tags still on them. I wanted my closet to get organized so she doesn’t grow out of something before she even wears it. Plus, since I like to shop bargains and deals I sometimes purchase items on sale and clearance that I know will eventually fit her. This way I can be sure to hang them on a different part of the closet! What I used for these dividers: Old or Blank CD’s and Duck Tape Sheets. First, I cut a slit out of the CD and cut around the center to fit my closet. 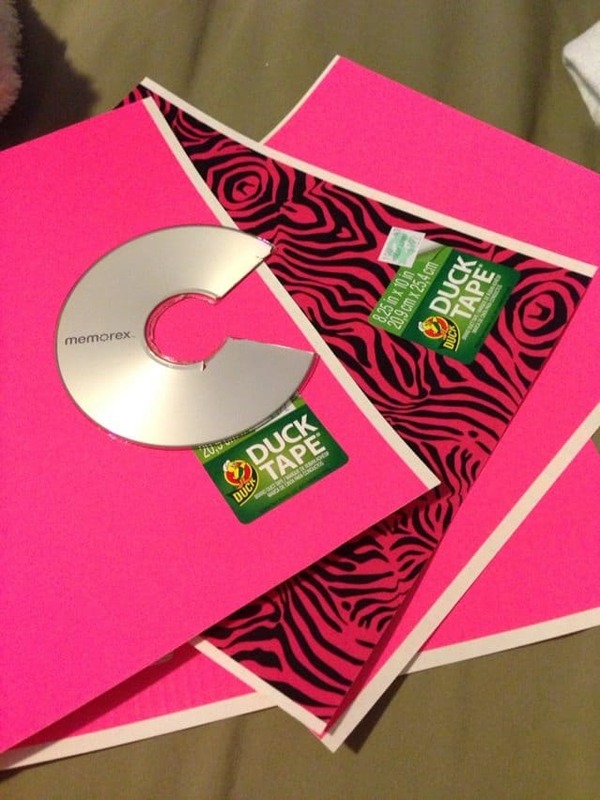 Then, I purchased Duck Tape sheets and stuck them on each side. I trimmed the excess tape off. Last, I wrote the sizes on the dividers. You can create these for your closet too that say: skirts, shirts, dresses, pants, and donate. I would create the donate pile because you should always stick to the philosophy of getting rid of one thing before you buy another. You also know those clothes that you keep trying on and taking off because you don’t like the way they look or make you feel, get rid of those too! FOLLOW Enza’s Bargains & PIN this easy TIP by clicking on the PIN button above the post! I have joined your rss feed and stay up for looking for more of your wonderful post. 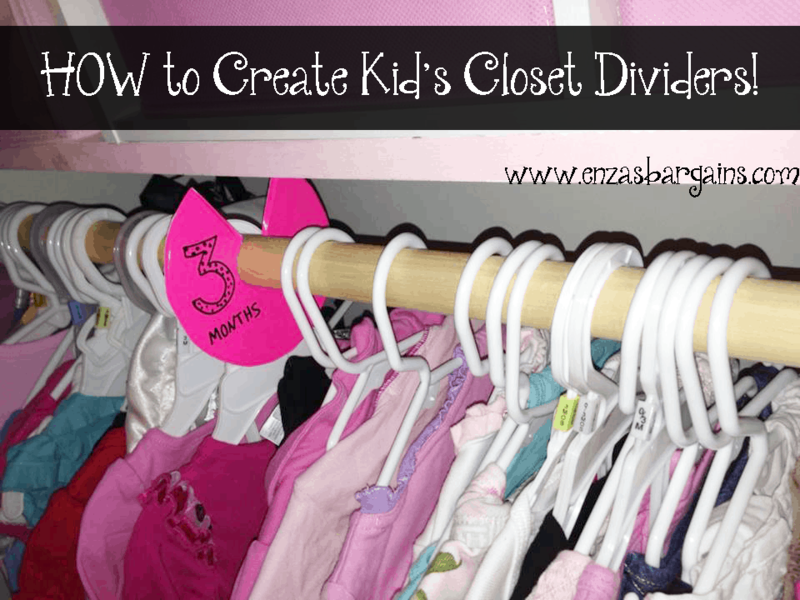 This is such a clever closet trick! Can’t wait to try it to my own! Thanks for the great post!